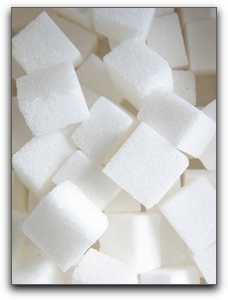 We advise our Blue Ash dental patients to watch their sugar intake to prevent cavities and other health problems. We want them all to keep their beautiful smiles. If you’re trying to unsweeten your diet, we want to encourage you! It’s an excellent idea. You may already be skipping the usual suspects, like candy and soda. But sugar isn’t always as obvious as cake frosting or powdered donuts. If only. Do the math: When shopping at the grocery store or health food store, carefully decipher food labels before you buy. Four grams of sugar equals one teaspoon. Add up all the grams of every type of sugar listed and divide by four to truly understand how much sugar an item contains. At Endres Gateway Dentistry, we advocate and practice general and family dentistry. This includes preventative dentistry; we want to keep your teeth healthy to prevent future problems. For perfect Blue Ash smiles, we also practice orthodontics, including Invisalign clear braces. Visit our smile gallery to see what we can do for you.